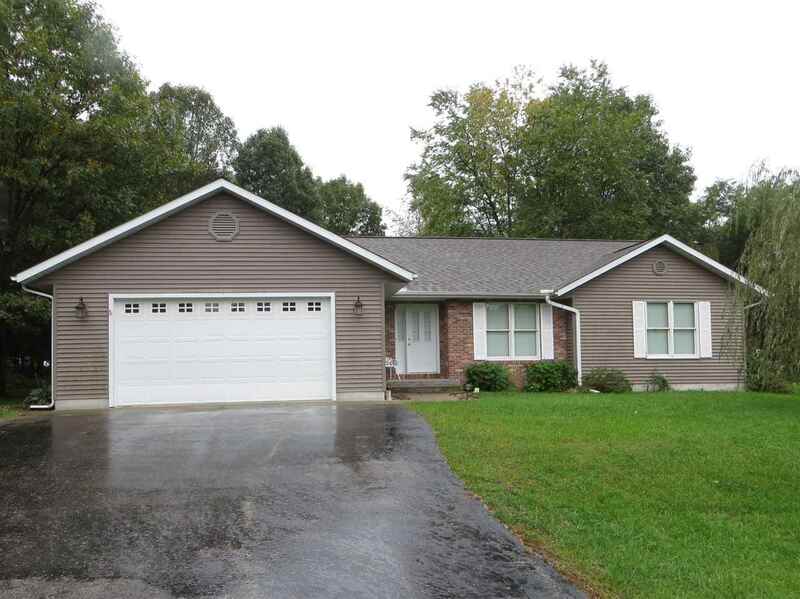 Newer 3 bedroom 3 bath home has a neutral palette to build your favorite color scheme. Cozy electric corner fireplace in living room. Mostly open concept so you can visit with your guests in dining and living room while you work in the kitchen. Deck off dining area for outdoor entertaining or watching the birds. Full basement is stubbed for bathroom, insulated and drywalled so you can finish and make it your own. Charming brick-faced entry way. Crisp white exterior trim and shutters with easy care vinyl siding. Attached 2 car garage with blacktop driveway with small storage shed in back yard. Directions: Office Go S. On Main St To East On 7th St To Right On 9th St. Items Included: Stove, Refrigerator, Dishwasher, Microwave, Window Coverings, Lawn Mower.